Legislation passed by the U.S. Senate could pave the way for the commercial deployment of drones in the national airspace, besides addressing safety issues by, for example, providing for a pilot that would find ways to lock down errant drones if they are close to airports. The new rules in the Federal Aviation Administration Reauthorization Act of 2016, passed Tuesday by a vote of 95-3, reflect the opportunities seen in the country for the use of drones both for commercial and other applications such as in emergencies. They also highlight privacy and safety concerns about the reckless use of consumer drones by hobbyists. Referring to an object, believed to be a drone, hitting a British Airways plane landing in Heathrow airport on Sunday, Senator Bill Nelson, a Democrat from Florida, said that if a drone is sucked into a jet engine, it could certainly render the engine inoperable and might start an explosion. The current bill proposes a pilot program to develop and test technologies to intercept or shut down drones when they are near airports. “Safety rules are urgently needed, and the inclusion of key provisions to require manufacturer safeguards and give the FAA clear authority to set rules for recreational use is a big step forward,” said Senator Dianne Feinstein, a Democrat from California, who has included some of the provisions of the Consumer Drone Safety Act, she proposed last year, in the new bill. The legislation, which now goes to the House of Representatives for consideration, has been largely welcomed by drone user organizations. The Small UAV Coalition, an advocacy group representing small drone users, said in a statement that the bill creates a pathway for companies to leverage small drones to deliver products to consumers, and points approvingly to steps proposed to promote beyond visual line-of-sight and night-time operations. The FAA released draft rules in February last year for the operation of commercial drones of less than 55 pounds (25 kilograms) that would limit their flight altitude to 500 feet (152 meters) during daylight and within line of sight of the operator. 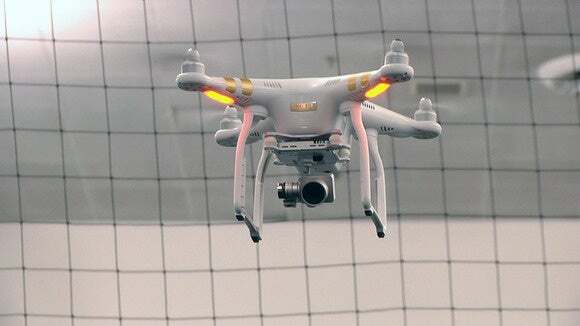 But the final rules for the devices, also referred to as Unmanned Aircraft Systems, have been delayed. Feinstein has opposed these provisions that would block state and local drone safety laws. The senator said on Tuesday in a statement that she has secured a commitment from the bill sponsors Nelson and John Thune, a Republican from South Dakota, to work with her to address the issue when the bill is negotiated with the House of Representatives.